This is how anodized and mill finishes look on z clip profiles. Used for a variety of purposes, including display areas and wall boards, aluminum z bar, also known as Z bar picture hangers or z-clips, are sold as a box of 250 in 1.660" lengths or 12 foot lengths. 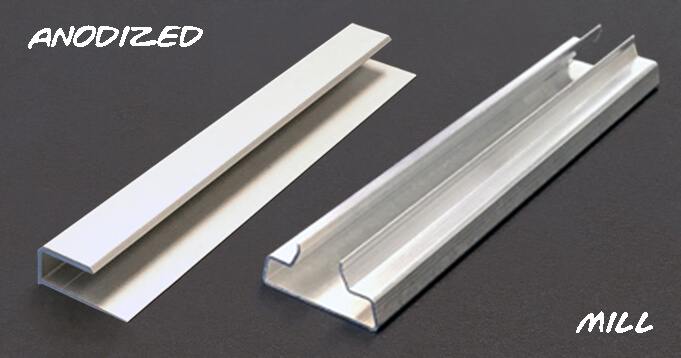 Choose from our selection of profiles in mill or anodized finish. Additional finishes available on order. Contact us if you have a requirement for a custom shape.